This week’s Frappuccino of the Week is the “Polar London Fog,” submitted by Aileen in British Columbia, Canada. Aileen wrote, ” I love asian milk teas and was wondering if one could be made into a Frappuccino…” That’s where the inspiration for this Frappuccino came from. I tried this myself too. 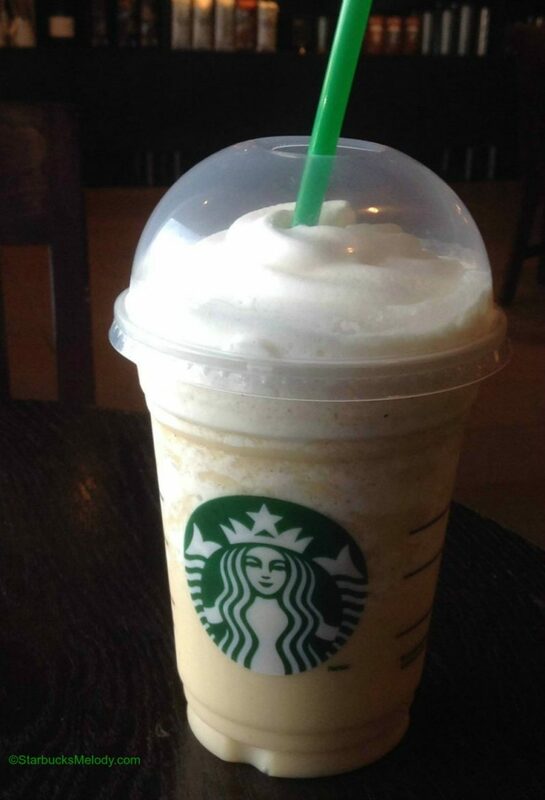 First off, you have to like Earl Grey tea to like this Frappuccino. It’s such an interesting idea that I’m featuring it here, but there are some caveats for this Frappuccino creation. First off, be aware that this will be an expensive drink. Next, don’t spring this on a busy store. Go to a store with friendly baristas during a quiet time in the store. And tip well. I dropped by the Starbucks at 130th and Aurora this afternoon (Saturday the 13th) and asked the register barista, Paul, to help me create this drink. 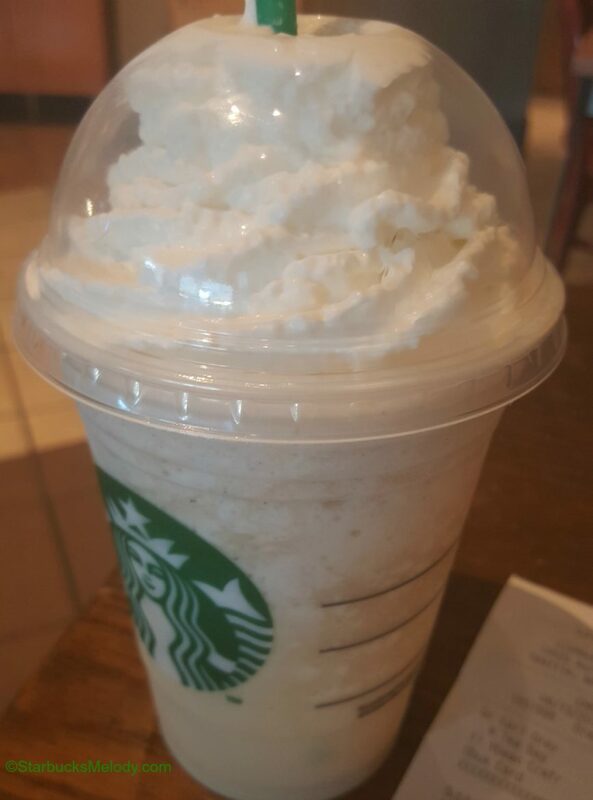 I explained what I was doing, in that I wanted to try out a drink that I’d feature on the StarbucksMelody website. Paul was game to help me out. Before we started he questioned me: “Are you sure you want to do that? This will be an expensive drink – you’re getting four tea bags and a Frappuccino.” I said “yes” that I was sure I wanted to try it, regardless of the price. I think this ended up being just under $7.00. It was quite an experiment. Paul got to try a little bit of it too (there was some left over in the blender). We both agreed, you simply end up with an Earl Grey Frappuccino. You have to really like Earl Grey tea to want this. It’s unique and interesting. I’m not enough of a fan of Earl Grey to want this twice. It’s original and creative so I was glad to pick it for the Frappuccino of the Week column. I sent Aileen a $10 Starbucks Roastery card as a thank you for her submission. Here’s how you submit a Frappuccino of the Week (if I use your submission, I’ll mail you a $10 Roastery Card as a thank you): First off, be sure to include a high resolution image of your drink. The Frappuccino should be full and not yet consumed. Include all information about the drink recipe or drink build. I want to make it easy for others to order your drink. Include a statement that you took the photo of the Frappuccino and that you’re giving me permission to use it – entry into the Frappuccino of the Week category presumes that I may freely use your photograph on this site. Please introduce yourself and let me know if you are a customer or a partner. If you’re a partner, I’d love to know if you are a store manager, a coffee master, and/ or some small fun detail about your career – even your favorite coffee. Of course, you don’t have to tell me all that, but it would be nice to know some fun detail about you! Send your Frappuccino drink idea, image, drink build instructions, and all relevant information via email to Melody at StarbucksMelody dot com. If you want the $10 Starbucks card, I’ll need your mailing address. Please send the image of the Frappuccino with your email about the Frappuccino – please don’t send them as two separate emails. Pour Over brew method coming to a Starbucks near you! I’m confused..it’s the normal amount of milk for a grande vanilla bean PLUS the short cup of water? That’s way too watery. I tried to make it this morning. Am I missing a step in the instructions? I have a customer that orders something similar. We begin steeping 2 earl grey tea bags in about 4 oz of hot milk and using that to make a vanilla bean frappuccino. The big difference being that she adds peach syrup and has us blend in one packet of earl grey. It is actually quite delicious. I love Earl Grey and my EGTL’s but I don’t think I would ever attempt this at either of the two stores I frequent. Too complicated and I really can’t justify the price. However if anyone is looking for a new tea beverage I tried a tea latte with English Breakfast instead of Earl Grey. So good.. If the EGTL tastes like Froot Loops the EBTL with vanilla syrup tastes like Frosted Mini-Wheats! I’m a partner and I do this all the time with youthberry and pineapple kona pop, I love it! @Amanda, pretend like you’re making a strawberries and creme frappucino, but instead of the strawberry juice, you fill your tea up to the second line. What’s the recipe for a venti or trenta size?